The 2019 Chevrolet Silverado 1500 has been basking in the spotlight since its debut at the Detroit auto show, and now the Bow Tie brand has revealed the big guns of the Silverado lineup: the Silverado Class 4, 5, and 6 chassis cab trucks. By expanding the Silverado lineup, Chevrolet has positioned itself to better compete against the Ford F-Series and Ram. 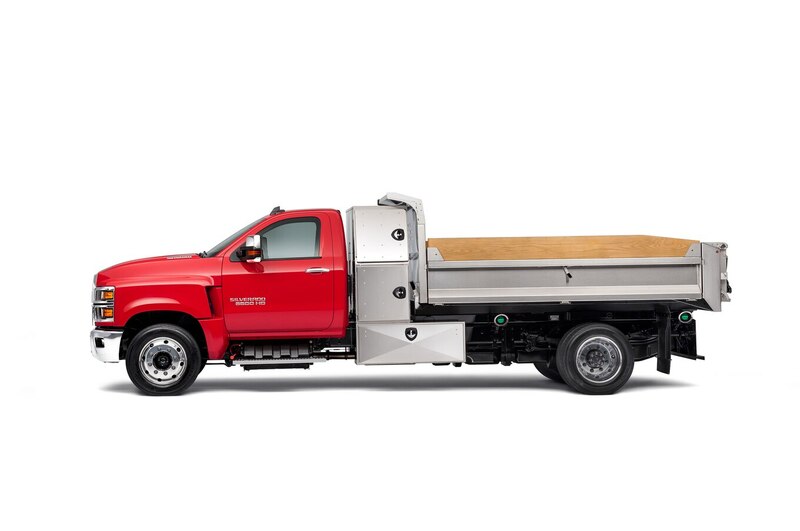 Though the pickups are considered “medium-duty” based on the Department of Transportation’s truck classification system, they’re most certainly the heaviest-duty Silverados you can buy, slotting above the 2500HD and 3500HD models we have yet to see. Chevrolet’s new trucks will come with Allison transmissions and a 6.6-liter Duramax turbodiesel V-8 engine making 350 hp and 700 lb-ft of torque. Both two- and four-wheel-drive versions will be available. The Class 6 truck has a gross vehicle weight rating maxing out at 22,500 pounds. Ram doesn’t offer a competing vehicle at this level, although Ford offers even heavier-duty trucks. GM’s goal is to eventually capture upward of 25 to 30 percent of the medium-duty truck market, reports Automotive News. 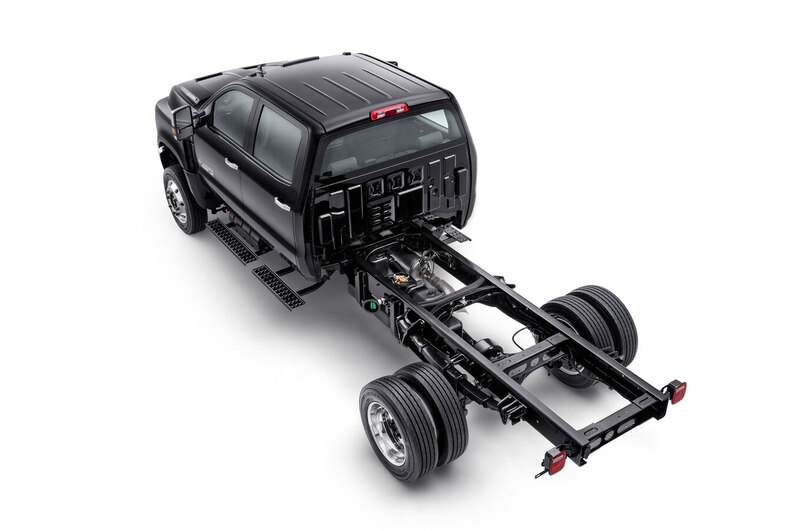 Differentiating itself from Ford and Ram, Chevrolet will offer a factory rear air suspension on its medium-duty trucks. To further reduce noise, vibration, and harshness, the trucks have triple-sealed, inset doors that help curb wind and road noise. The trucks aren’t based on existing trucks and were built from the ground up. Buyers can upfit them with different beds and boxes, a task made easier by their one-piece frame rails and through-the-frame fuel fill lines. Seven Cab-to-Axle options, ranging from 60 to 162 inches, will be available along with five axle-to-back-of frame lengths that run in 8-inch increments. The trucks boast 50-degree wheel cuts, allowing for “walk up” access to the engine compartment. The diesel exhaust fluid tank is located on the passenger side of the truck, on the opposite side of the fuel fill area. Expect to find many of the same convenience features you’d see on the Chevrolet Silverado 1500. These include wireless cell phone charging, Bluetooth, built-in 4G LTE Wi-Fi hotspot compatibility, Onstar and Commercial Link, and Apple CarPlay and Android Auto. GM will begin production on the new Silverado late this year. Order guides are coming out this spring, and pricing information will be revealed this summer. Currently, there are no plans for a GMC medium-duty truck, according to AN.